Home » XJ News » Facts » Production Models » E-type - All Derivatives » E-type Film! Having found this feature in Xclusively Jaguar News, the chances are that if you are reading this, you are a keen Jaguar enthusiast. In which case, you will probably recognise the name Skilleter, but you won’t associate it with the name Eben! There is, however, a very close association! Eben is the only son of the very well-known and respected Jaguar author, journalist and historian Paul Skilleter. 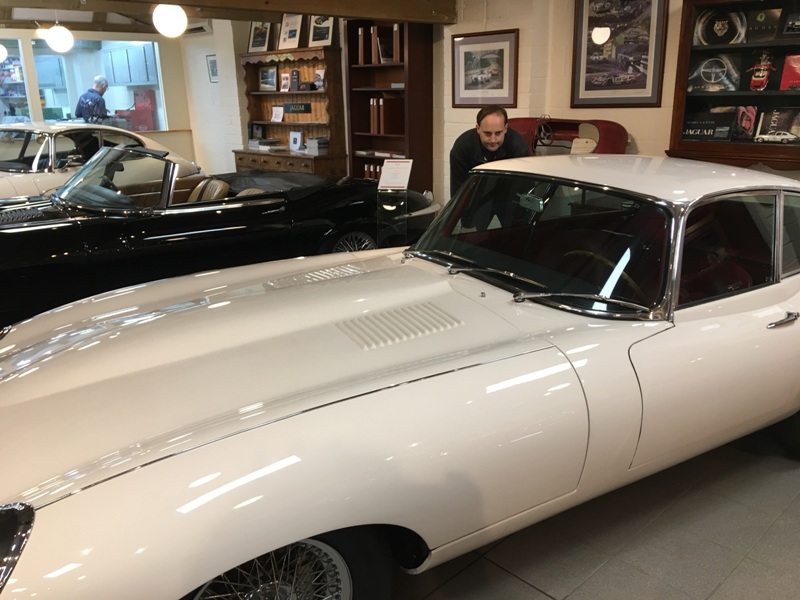 Paul has spent his entire working life among Jaguar cars, so Eben has been raised in amongst the Jaguar community, imbued in the Jaguar legend. The earliest known pic of Eben with Jaguars, when he was just a few months old! 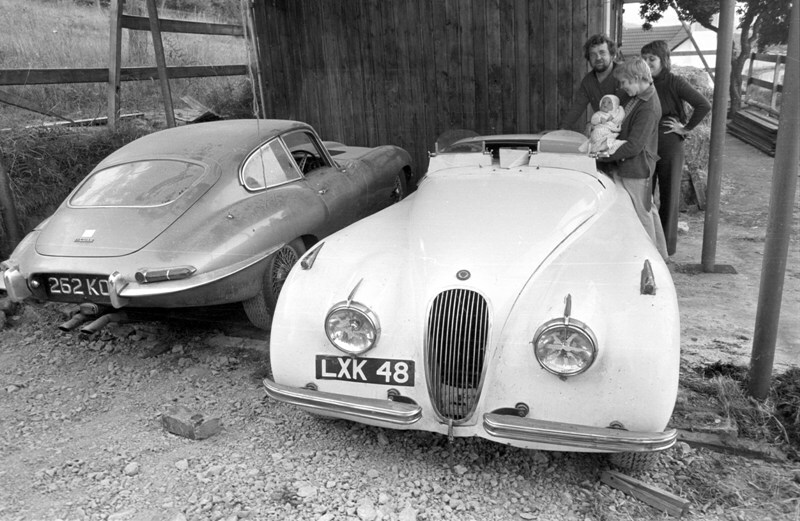 Fittingly baptised into the Jaguar World by being held over Paul Skilleter’s racing XK120! 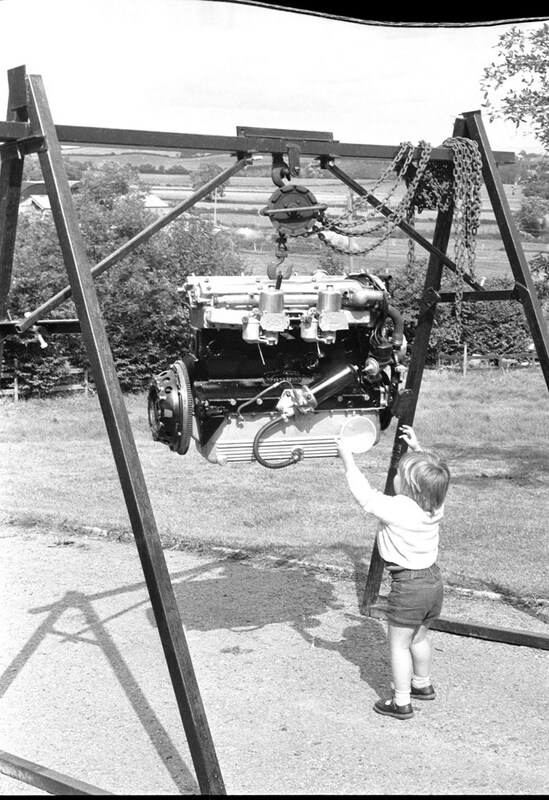 Seen here on the left at the age of 3, reaching up to the XK120’s rebuilt engine, Eben was born in 1979 in London, but raised initially in Worcestershire, and the proximity of Shelsley Walsh must have had some bearing on Eben’s upbringing, I’m sure! Later, the Skilleter family moved to Essex, where Eben spent most of his childhood, before moving to the New Forest in 1999. Still in the New Forest, at Barton-on-Sea, Eben is an award-winning maker of narrative short films. 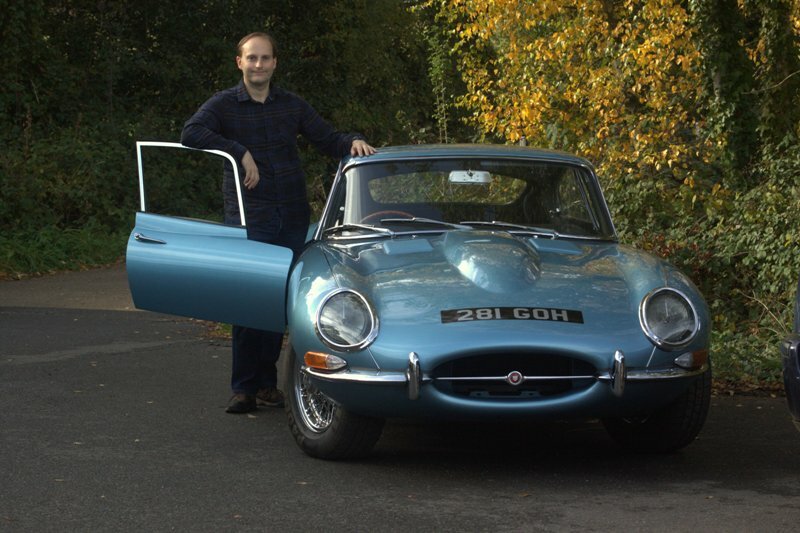 Educated at Brentwood School and then Reading University, he works primarily for his father’s publishing company PJ Publishing Ltd, which readers of Xclusively Jaguar News will know publishes specialist motoring books, mainly involving Jaguars. PJ Publishing and Paul Skilleter Books being sponsors of Xclusively Jaguar. Despite the Jaguar background, Eben’s main ambition was always to become a screenwriter.After a few years he decided to create his own material, hence the move into filmmaking. At the moment, this is not something he does professionally, although that is the goal! All of the short films Eben has directed have been self-funded. It isn’t cheap, and requires real dedication. All of his six short films have been accepted at film festivals – 18 to date. 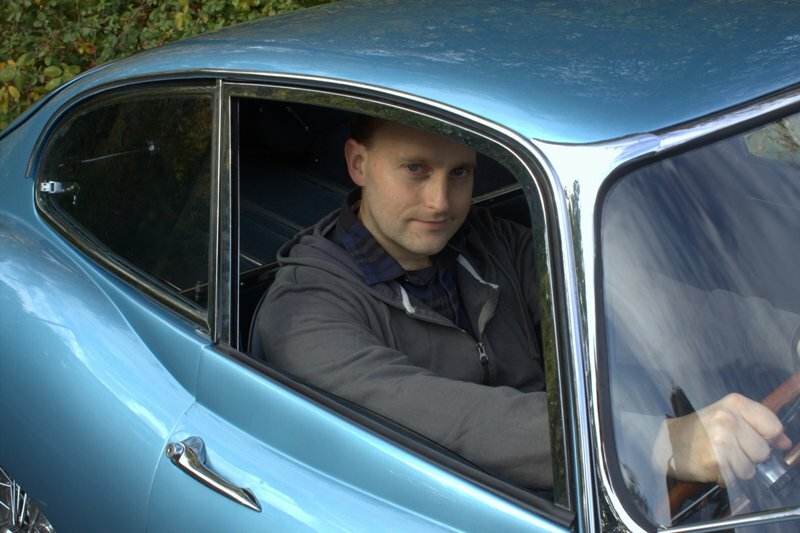 Eben’s next short involves an E-type restoration. It will be much more ambitious than any of his previous projects, and his major attempt at creating a short film with real production value. It is not by chance that the film features an E-type. Being both iconic and very photogenic, it was the ideal candidate.Some preliminary footage was shot at Eagle E-types last year, but most of the filming will be done in 2019. For this, Eben is looking for a Series 1 4.2, preferably, although he is keeping his options open at the moment. There is still a lot of preparation to be done before filming begins in earnest, which includes finding suitable locations, and this may take months. 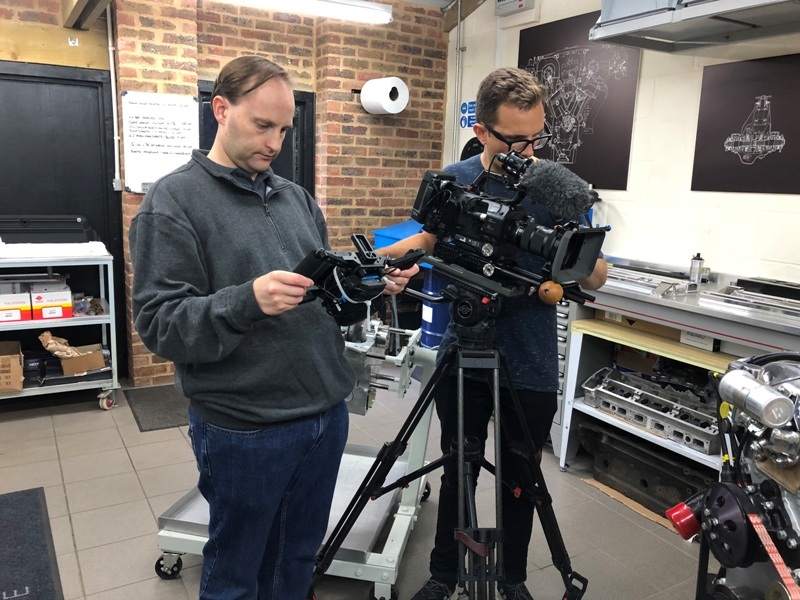 Eben is hoping to do most of the filming within easy reach of the M25, as many people in the film industry live in London. Eben has worked with many excellent professionals in the past and hopes to work with some of them again on ‘Archie’s Last Drive’. I’m sure I will not be the only Jaguar enthusiast looking forward to this forth-coming short film, as Eben has suggested it is possible that his father Paul Skilleter may have a cameo role as a ……….. well, let’s wait and see, shall we? Eben might need to call upon the Jaguar community to obtain a Series I E-type for filming. 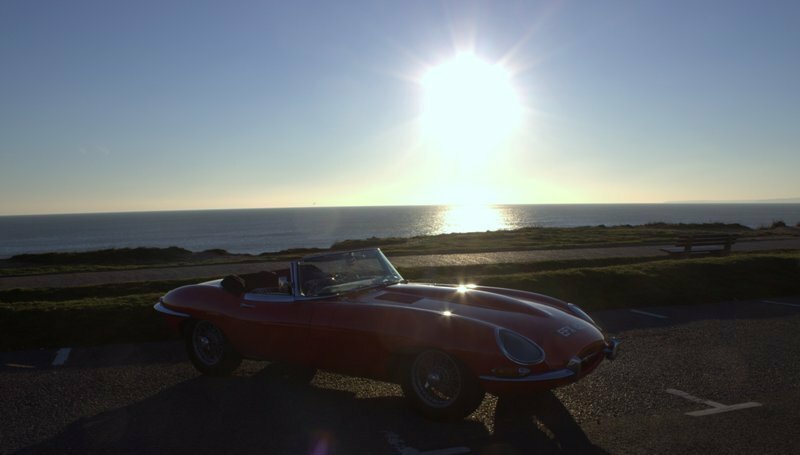 If you would like your E-type to be considered for the starring role in ‘Archie’s Last Drive’, you can contact Eben via Xclusively Jaguar. The requirement would be for an E-type in showroom condition, and he may also need to film an E-type in barn-find or poor condition. Also, if anyone knows of a barn that Eben could use for a day, within easy reach of the M25, he’d love to hear from you! So this could be a very rare chance to have your E-type immortalized on the big screen.